Vinyl Leather Look Seat Covers. 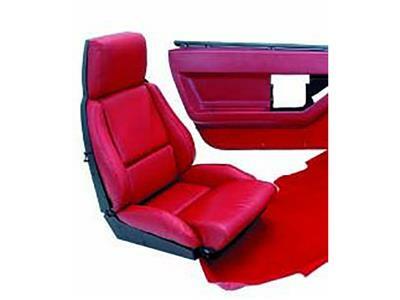 Features: Seat Covers Mounted on Foam Complete Poly Back Carpet Set Pair of Door Panels Less Trim No Discount on Interior Packages. Vinyl Leather Look Seat Covers.